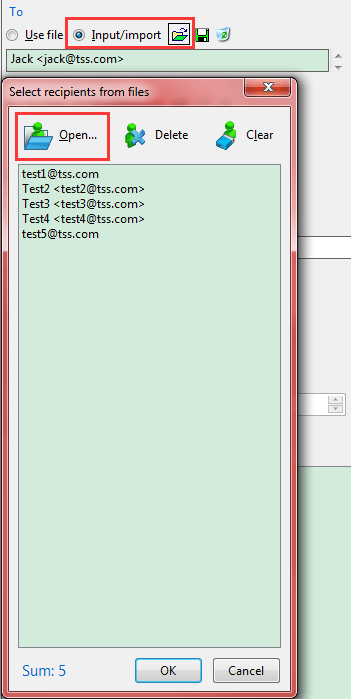 Screenshot 1: the screenshot of sample recipients files of our auto send email application. 1. Use recipients file for the [To/CC/BCC] fields directly. This is a very flexible and useful function in our auto send email software, because you can manage your recipients in these files along, and when AMSSE sends out your message, it will read current recipients list from the specified file. 2. Import receivers from the recipients file. This action will read the recipients from the specified file, and stored in the [To/CC/BCC] fields. 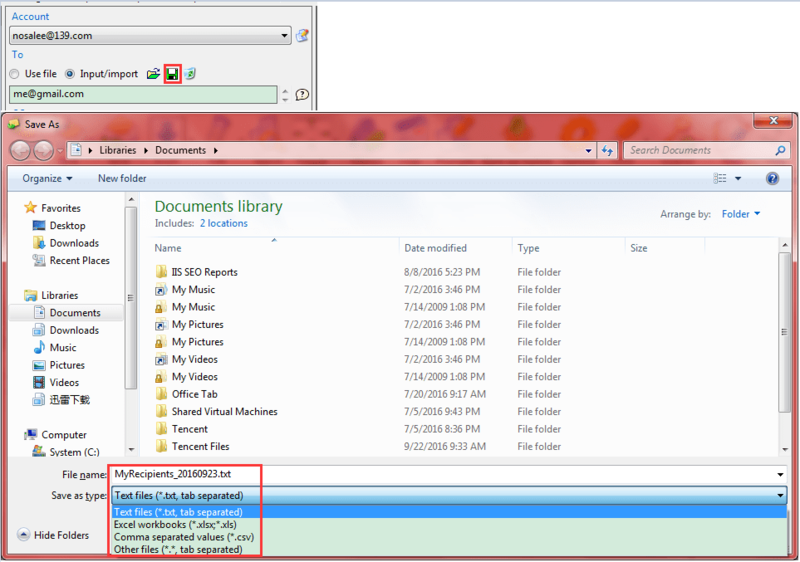 If you changed your file, the recipients in your template is not up-to-date. 3. Save recipients to file. Screenshot 2: save recipients to a file in our auto send email tool. As above, you can save you inputted recipients of [To/CC/BCC] fields to our email auto sender supported file for reuse. To see the Log Viewer, please click the <Logs> button on the toolbar first. Screenshot 3: the log viewer of our auto email sender software. Screenshot 4: the logs filter of our auto email sender software. The summary list displays the information in the email level. And the detail list shows the information for each receiver of the selected summary item. Please note that for non-OBO sending, the details are the same, because it only sent out ONE email. This viewer also provides you with a 3D pie chart to tell you the success, failure, cancelled rate in a visual way. Other things, please read the tips at the top of this window. Download Our eMail Auto Sender Now!